Vince Zampella and Jason West became famous in the industry when they got caught up in the giant squabble at Activision that eventually had them fired from Infinity Ward… their very own company. Since then, they buggered off and announced a new development company aptly titled Respawn Entertainment, which left of all of us waiting and wondering about what sort of project they were going to work on next. There’s an image after the jump, you know. Their site is finally live and proclaims that yes, they do actually exist. They list a ton of staff that anyone in the know would recognize from the now Kotick-erized shell of Infinity Ward as well as a whole bunch of folk that worked on God of War 3. So. They have basically told us absolutely nothing then. 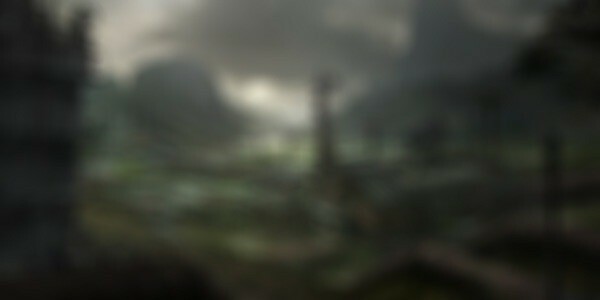 Looking at the image from a bit of a distance shows what looks like it could be a mountainous area with… possibly a base in the foregrund with towers? Or maybe those are Brachiosaurus necks… no wait… it’s actually Saroman’s Isenguard possie… I think I may just be going in the wrong direction. Or not! So my money is definitely on a military-based first person Jurassic Park / Lord of the Rings crossover shooter. This game is going to be epic. Next article Its Tournament time!